Jeep's most talented pickup model Jeep Gladiator, one of the pioneering brands in the world of SUV, has attracted all the attention at the Los Angeles Auto Show. Jeep presented the brand-new Gladiator for the first time at the Los Angeles Auto Show in America. Jeep Gladiatior, the world's most talented and well-known pickup model with off-road capabilities that truly uplift the turntable world, the traditional Jeep design, modular bodywork that offers outdoor freedom, high-level asphalt and off-road driving dynamics, and more than 80 safety equipment Preparing to be. 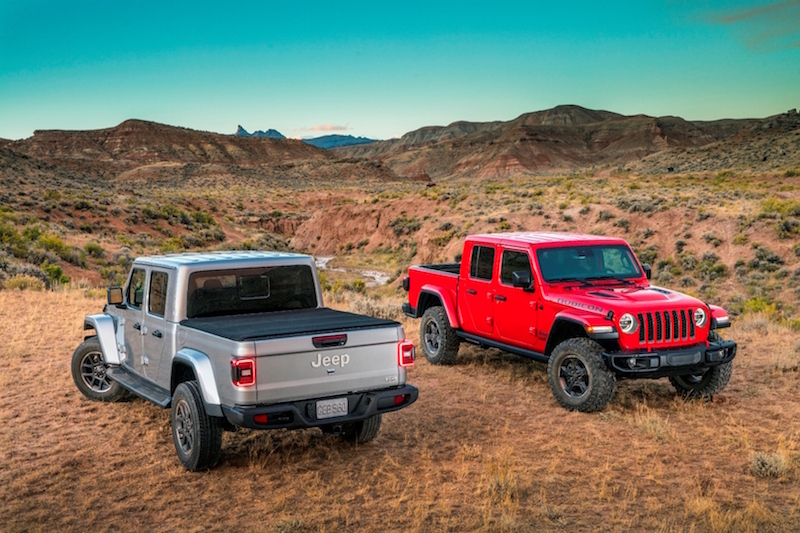 Jeep Brand President of North American Tim Kuniskis regarding the new model,"A truly unquenchable true pick-up and instant discovery of the Jeep, the brand-new Gladiator is the ultimate vehicle for any road adventure. We have a huge demand for this unique vehicle from our Jeep customers and pickup lovers all over the world. Gladiator, born from the transmitter heritage, brings together the most capable pickup to date, durability, versatility and functionality. In the Gladiator, which reveals its devotion to Wrangler with its unique lines loyal to the traditional Jeep design, Jeep designers shift the brand's signature legendary seventh-grade grille backwards to make it more streamlined and use it more extensively. The Gladiator has a very modern look with its LED headlights and stop group, offering a large load area that allows versatile operation, 725 kg load capacity and 3.5 tons pull capacity. 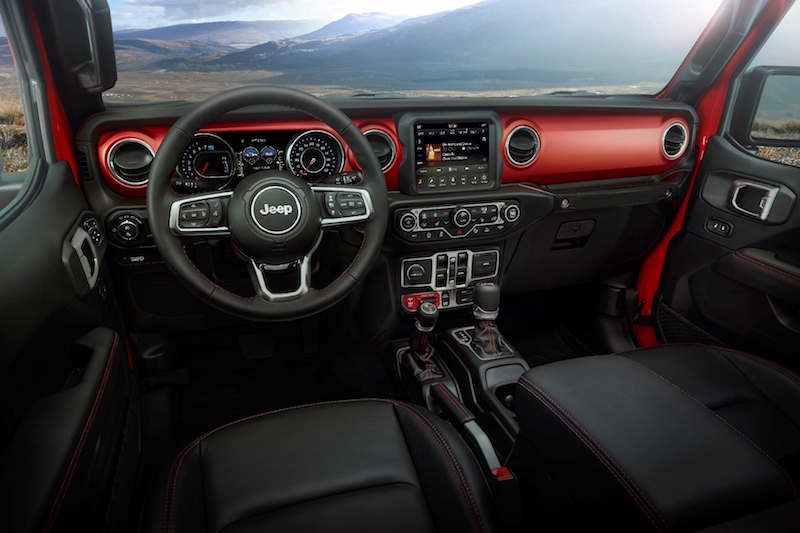 The interior of the Jeep Gladiator melts the traditional design and versatility in the same pot. The traditional horizontally vertical console architecture is complemented by sporty and modern design details. The fourth generation Uconnect touch screen dominates the cockpit; Offering a user-friendly interface with features like fast opening, precise touch screen and high resolution image, Uconnect's 7.0-inch or 8.4-inch versions offer superior smartphone integration with Apple CarPlay and Android Auto support. The Gladiator features remarkable features for handling, driving quality and off-road capability. The V6 Pentastar petrol engine with a power of 285 liters has a 6-liter manual or 8-speed automatic transmission with a power of 260 HP. In the 0 liter EcoDiesel V6 diesel engine option, 8-speed automatic transmission is used and in both versions a very advanced 4x4 system is included. With the Command-Trac and Rock-Track 4x4 systems, the third-generation Dana 44 axles, the Tru-Lock electric front and rear locks, the Trac-Loc limited-shift differential lock, the Gladiator recognizes no obstacles in water transitions to a depth of 76 cm.